How many times have you exceeded your funds in your checking account because you thought you had enough money to cover your expenses? Instead of running into this dilemma, try utilizing one of the many personal budget worksheets to get your finances back on track. 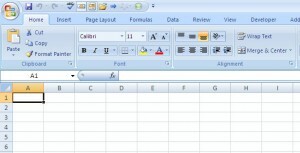 These excel templates range from the beginner to the extreme advanced user. You can pick a template that helps best manage your finances to help you get organized now! This is an example of a yearly personal budget worksheet that covers all of your income and expenses. The columns contains the months while the rows contains the variety of income and expense you will be recording on this worksheet. Use this finance organizer to keep your bills on track! Looks like a good budget template. Very usable.